Hello my friends. Today is my last post as a member of the MFT Card Challenges Design Team. The main MFT design team will now be sharing Sketch and Color challenge inspiration with you. The weekly challenges will be continuing and I look forward to seeing your fabulous creations on Facebook and Instagram! Thank you for cheering me on this year, and for all of your wonderful comments. I've had a wonderful time! You never know what the future holds and this year is already starting out with some great opportunities that have come my way. I will definitely be sharing my work on social media! I am so grateful for my fellow MFT Challenge team mates and the amazing friendships we have built. Those are worth more to me then anything else. Ok, so let me show you what I made today! I created this CAS card using only MFT Die-namics. How fun is that!? I wish you all the best for 2016. Thank you for everything! Have I mentioned how enjoyable this card is!? 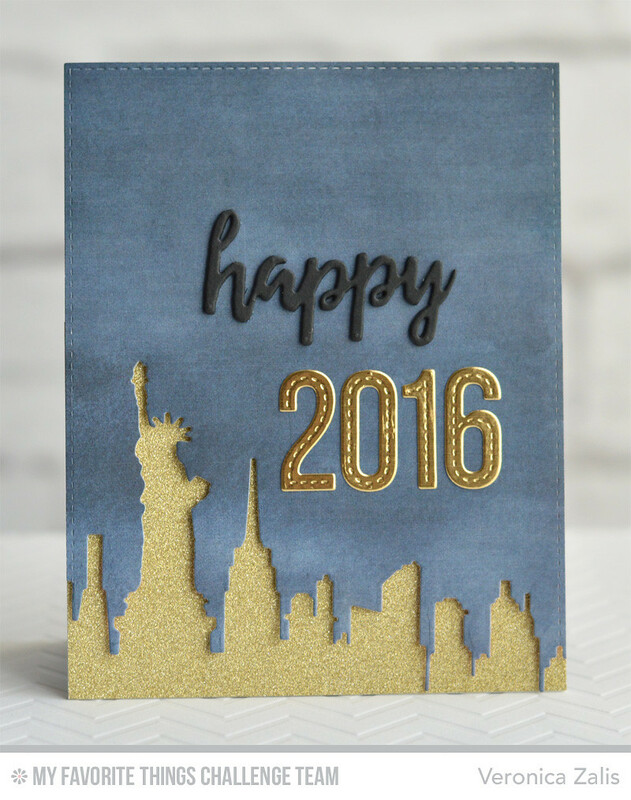 So shiny and so 2016!! It was an awesome year! <3 you VZ!! :) here's to the fabulousness ahead!!! MFT Sketch Challenge 259 - Cheers!